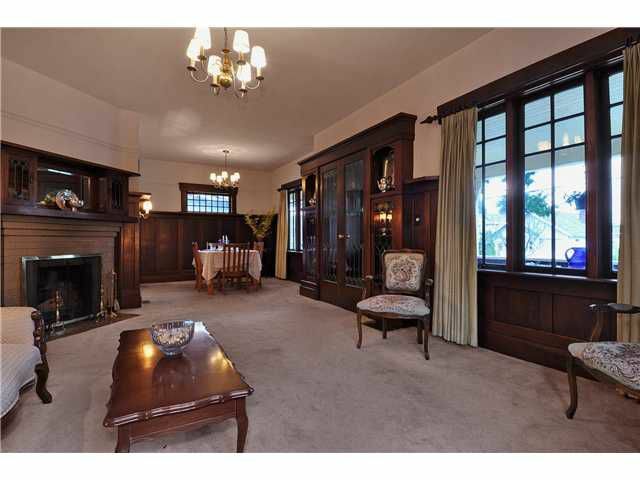 Beautiful William Steele house, circa 1919: Craftsman style, 3 bed plus den, on a quiet street. This property has high ceilings, fir floors (under the carpet), original woodwork and a full-width front porch. This home features extensivewood finishing and mouldings, as well as stained glass windows that bring out its character and charm. The unfinished 7' basement could add 949 sq ft of living space. This property is situated on a flat, good-sized lot (50 x 130, or 6,530 sq ft). The home is warmly livable and welcomes your updating & decorating ideas. The neighborhood, in the heart of Moody Park, includes many older homes and the address is steps away from schools, shops, transit and Moody Park.